It’s time to charge up the small devices on-the-go and experience safe travel with the Lenoxx Anti-Theft Backpack. The Lenoxx Anti-Theft Backpack can accommodate 15.5” laptops, tablets, notebooks, headphones and many of your personal belongings. It comes with multi-divider compartments for the ultimate organisation. You can handily charge your devices as you are on-the-go, whether you are at the airport or walking your commute to school. 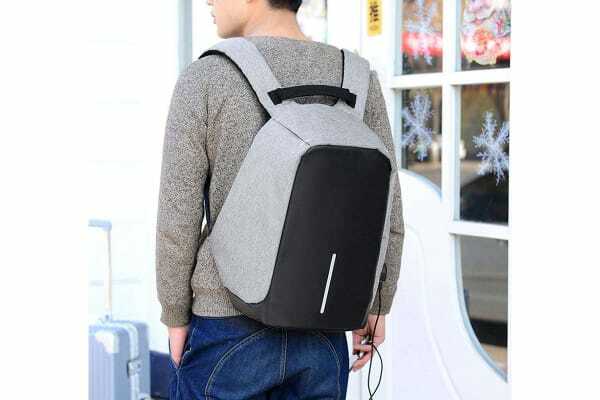 The USB connects to your own powerbank inside the backpack while you charge via the external port without having to open anything up. When it comes to backpacks – safety and security, is everything. 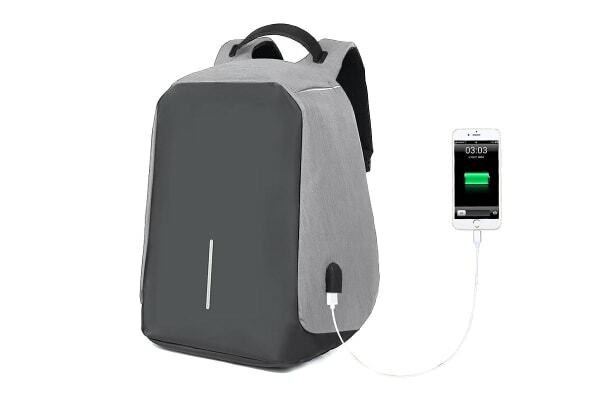 The USB Charging Anti-Theft Backpack is here to take some of that weight off your shoulders with a strong, water and stain resistant-treated oxford fabric that offers the ultimate security, while providing a lightweight alternative to traditional backpacks. It features a lightweight design with internal weight balance and contains multiple hidden zips and hidden pockets. You can quickly access passports and credit cards without having to remove the backpack, while staying discreet and secure. It is pre-fitted with a breathable mesh-back material for cool, easy manoeuvring for cyclists and hikers. The sturdy outer zippers will safely and securely store your belongings and is built to last. The backpack also contains a back strap which can easily secure to your luggage handle.